Hayat Tahrir al-Sham (formerly Jabhat al-Nusra), the Turkistan Islamic Party, Jaish al-Izza and other so-called “opposition groups” continue to exploit the ceasefire in the Idlib de-escalation zone to launch attacks on the Syrian Arab Army (SAA) and its allies. On November 14, they carried out two attacks on SAA positions in northern Hama from the direction of al-Lataminah. Both attacks were repelled and then described by pro-militant sources as an example of the ceasefire violations by the SAA. On November 15, reports appeared that militants are gathering their sabotage-reconnaissance groups in hills near al-Lataminah to launch more attacks on the SAA. The security situation also remains complicated in northern Lattakia and southwestern Aleppo. As the demilitarized zone agreement is not making progress as regards its full implementation, a military action is slowly appearing to be the only feasible measure, which can put an end to the ceasefire violations. Reports on “mysterious helicopters” evacuating ISIS militants or providing them with supplies in Syria and Afghanistan continue to appear in various sources. Most recently, on November 13, the Syrian state news agency SANA claimed that US-led coalition helicopters evacuated several ISIS members in the village of al-Suwayda in Hasakah province near the border with Iraq and transported them to an unknown location. Since 2017, such reports have repeatedly appeared in Syria and Afghanistan causing significant concern among local powers that the US and its allies cooperate with ISIS and are preparing to use the terrorist group as a tool against its regional and global competitors. The Pentagon rejects these accusations claiming that the US-led coalition makes no deals with ISIS. 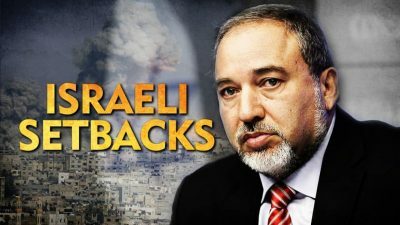 On November 14, Avigdor Lieberman announced his resignation describing the Egyptian-mediated ceasefire with Hamas in the Gaza Strip as “a capitulation to terror”. Lieberman added that he fiercely objected to Israel’s allowing Qatar to deliver $15m in aid to Gaza last week. Hamas called Lieberman’s resignation a “political victory for Gaza.” Hamas spokesperson Sami Abu Zuhri said that this development marked “recognition of defeat and failure to confront the Palestinian resistance”, adding that “Gaza’s steadfastness sent a political shockwave” through Israel. It should be noted that Lieberman had been among those Israeli top officials, who had threatened to destroy S-300 air defense systems should Russia decide to supply them to the Syrian military. S-300 launchers and radars as well as other equipment to boost the capabilities of the Syrian Air Defense Forces (SADF) were supplied by Russia in early October. However, none of the Israeli threats have turned into reality so far. On the other hand, the Israeli Air Force has halted its airstrikes on targets in Syria, at least till now. The recent setbacks in the conflicts in Gaza and Syria have put the Netanyahu government on the edge of a new political crisis. The unconditional support of any Israeli actions by the current US administration as well as Washington’s attempts to pressure the Palestinians and Iran to accept a de-facto surrender in favor of Tel Aviv only escalated the situation in the region. This escalation contributes neither to the security of Israeli citizens nor to the security of the region in general.